USA Trains released the full set of Union Pacific heritage paint schemes on their SD70MAC model. 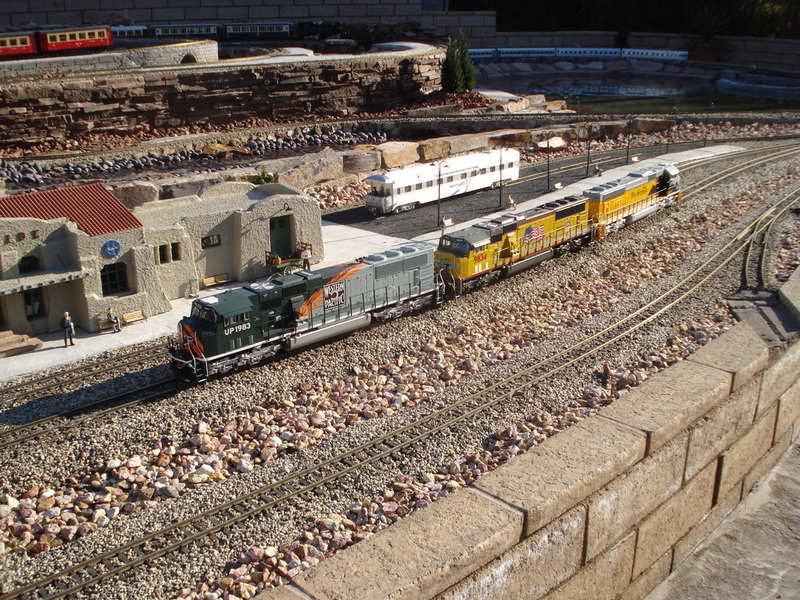 While the prototype locomotives are SD70ACe's, we could not resist the heritage fleet! 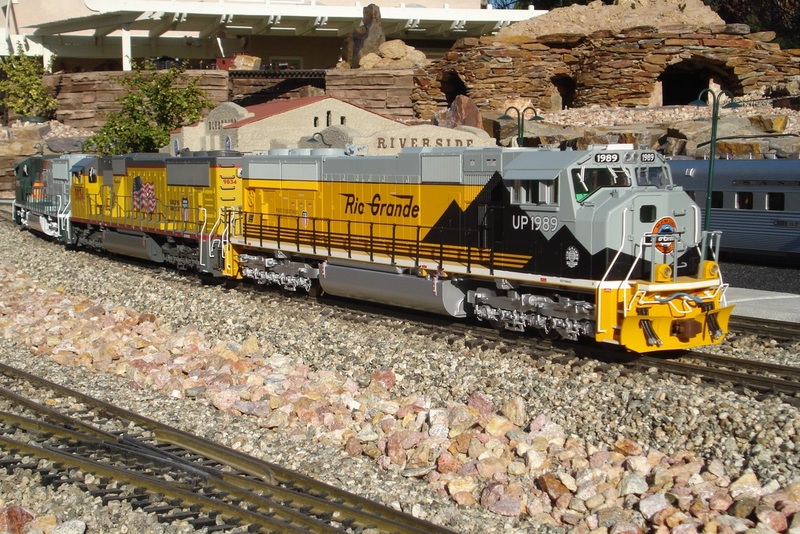 The Western Pacific and Rio Grande heritage units sandwich a standard paint Union Pacific locomotive. 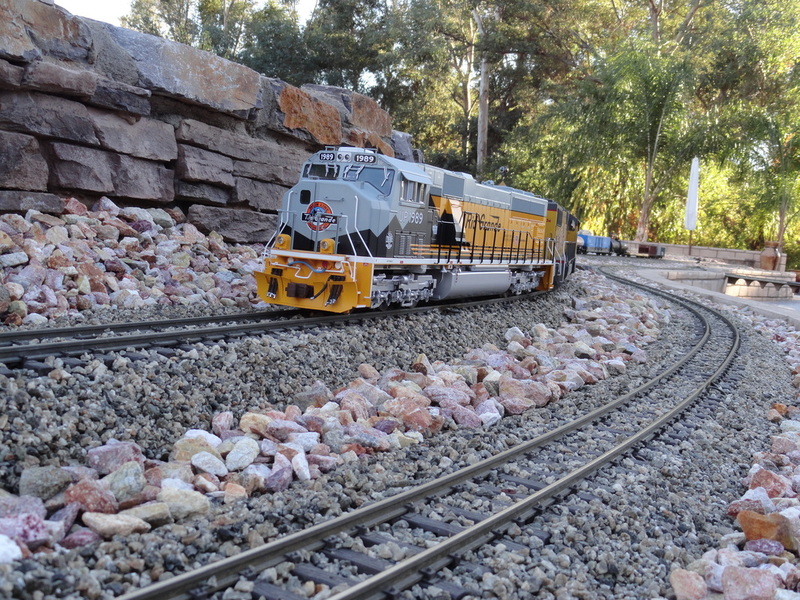 USA Trains make very detailed models and these are almost unchanged from coming out of the factory. A GPS dome by Ozark Miniatures and MU cables were added to the standard details.